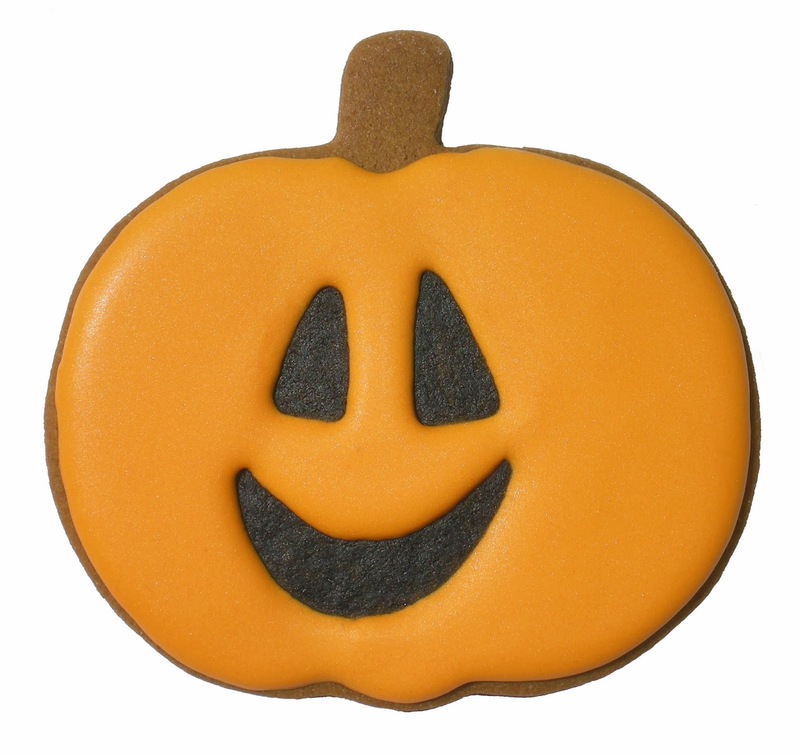 It isn't Halloween without some sort of pumpkin cookie! This year when I was running out of orange icing from a lot of pumpkins and HOPED I wouldn't run out of the icing before I iced one last one, I tried something new. I drew a face on a cookie with edible pen and colored in the features with the pen.Then I piped around the features and filled in the pumpkin with flood icing. Very simple and easy - and I didn't run out of icing! 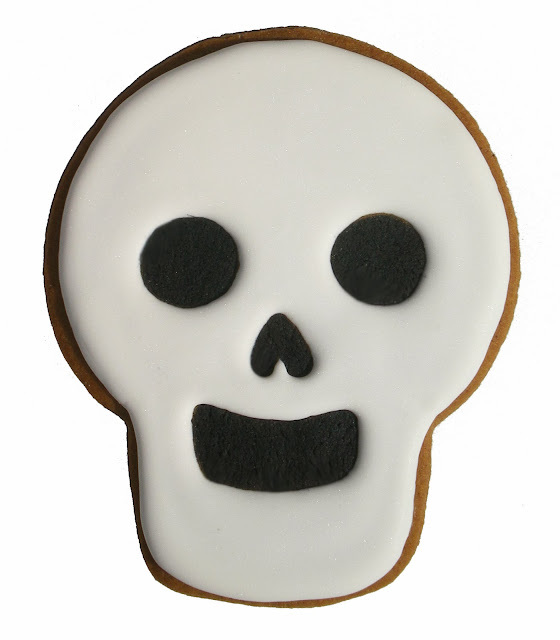 Someday I'll do a post about this guy - he was going to be decorated as a Dia de los Muertos (Day of the Dead) cookie but this is as far as I got this year. I used the same technique as on the pumpkin above but this time I used a template to trace the face on a lot of cookies with a food marker. Then I filled in the features using a small paint brush and food color thinned with vodka and iced around them. I thought it worked very well! He and his friends are resting in peace in the freezer until they are decorated in the future. Not very scary but plenty nostalgic. The cutter for this little ghost cookie came from Hallmark (I think) at least 40 years ago when I was making costumes for my little children and life was hectic and wonderfully fun! I made dozens of these to go to school parties every year, glazed (we didn't know about Royal Icing yet) and with currents for eyes. I love this technique! It gives the faces character and some variety in the textures. 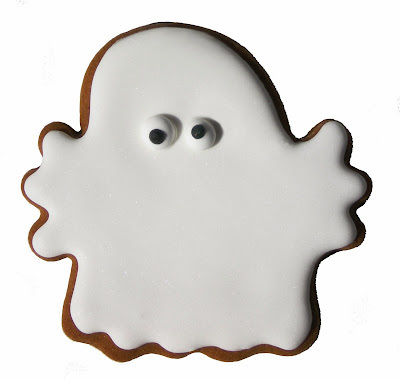 I agree that the little ghost cookie cutter came from Hallmark. The glaze and currants were great. Maybe there's a photo somewhere deep in the archives! Thanks Nina - I wish you were here to ice cookies with me. Those archives are pretty deep and mostly 35mm. Don't we love digital photography!